Smushit is a great tool by Yahoo. It is a lossless tool that will remove unnecessary bytes from images, which means you do not lose visual quality. Image file size will be reduced, but not the pixel size (dimension) or the quality. Your images will look virtually the same as the original. I have used this tool numerous times and I can’t tell the difference between my original and the Yahoo Smushit image in terms of quality. Smushit is one of the few tools that will not reduce the quality of your images. I can’t say the same about other similar tools out there. I have only used it with .jpg/.jpeg and .png image formats, but it does seem to smush or reduce the size of .png’s a little more than it does .jpg’s. Just go to Smushit and upload some images and see for yourself. Once they have been smushed you can preview them in your web browser and/or download them. For you WordPress users there is also a Smushit plugin available that will automate the process for you. I haven’t used it myself, but check it out if interested. I usually go directly to the Smushit site and smush my images manually. As you can see in the screen shot the overall savings for the 3 images was 67.61KB. I am not trying to save bandwidth by doing this, I am trying to reduce the time it takes to load a page. It just so happens that bandwidth and image size happen to go hand in hand, or a two for one deal. You might be saying big deal 67.61KB of savings who cares. It really can add up to a decent chunk of speed and performance. Imagine if a visitor happened to view 10 of your pages that each had savings similar to the above amount. That would save 676.10 KB, and depending on the visitors internet connection speed it could save 1-5 seconds of page loading time. Now if you had more than 3 images or larger images that could be smushed even more you really could shave off substantial page load time. If you were saving 100KB, 200KB, or more per page load that can really add up. If you resize or scale your images down first, which you should be doing for your web pages anyway and then run them through Smushit you could easily save 100KB to 500KB or more per page load in some cases. Here is an example. An image being used on a web page is 857px by 609px and a whopping 548KB (1/2 Megabyte) for one image. If you look closely it is being scaled to 595px by 426px. This means that it really only needs to be 595px by 426px and it will look exactly the same. So what you can do is first resize the image down to 595px by 426px. After doing so, it becomes 447KB give or take depending on what program you use to resize it, which is about 101KB of savings. Now take that and run it through Smushit and it is reduced to 325KB saving another 122KB. 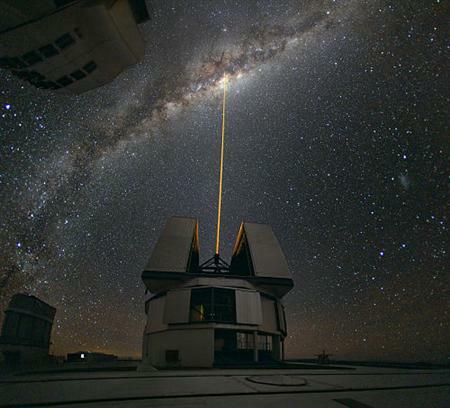 This one image will have gone from 548KB down to 325KB with a total savings/reduction of 223KB for one single image. Now imagine if there were 5 similar images on 1 page that would be over 1100KB+ (1 Megabyte) of savings per page load. Again, we are not so concerned about bandwidth consumption, but reducing the time it takes to load the page. I wouldn’t waste my time with smaller images in size, or those that would only save a few KB’s because it’s just not worth it. 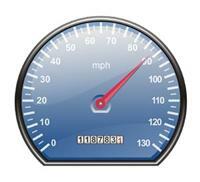 If you can save or shave off a hundred KB’s or more per page it can be worth a few extra minutes of your time. This is definitely something to consider and think about when optimizing for page load speed. 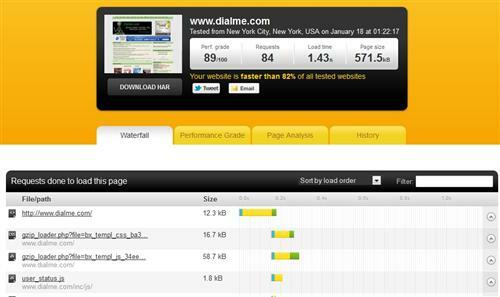 Image size has huge impact to page load time. To reduce image size you can use online resizer. I hear you there. I don’t wait very long either for slow loading pages or sites. I guess we don’t have as much patience as we did in the good old dial up days. Thanks for the headsup — never heard of this tool before, but it sound like just the thing for squeezing out that last increase of download speed for website pics. Smushit is a nice tool and it works great. It’s can be a lot of work to manually use it, but it does come in handy sometimes. I haven’t tried the WordPress Smushit plugin, but it is supposed to automate the process. I’ve been using Smush.it(manual version)since I started using WordPress. Yes you’re right, although it only reduce a little percentage of the image size, but all this will add up to a large size in the end. I like Smushit too. I tried a few other similar types and they didn’t work very good. The others basically were reducing the quality to reduce the size. Images got fuzzy and pixelated. Everything I have ever tried with Smushit looked exactly the same quality with reduced file size, which is what I wanted. I usually have better luck with .png’s. Jpg’s are generally heavily compressed already and they don’t seem to smush so much, but every know and then I get some that are reduced by 25%-50%. You are right they really can add up. On one of my sites I actually used Smushit to reduce all my theme/template images too. It wasn’t a huge savings, but if I remember right it reduced the page size by 50kb-100kb. 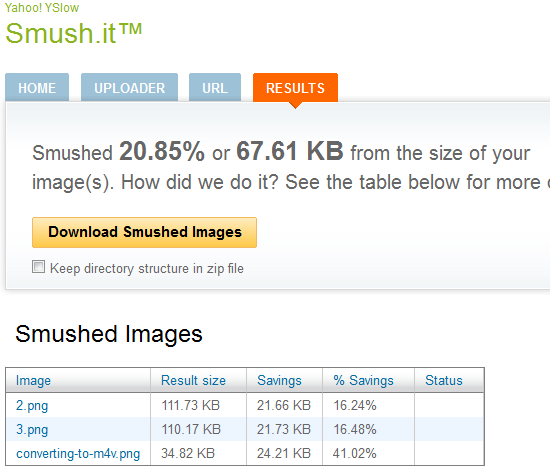 I am just going to use the smushit plugin to reduce the size of my website and optimize it for better performance. Honestly I was not aware of the Smushit tool. I think it’s always good to optimize the site by reducing the page size. I like the examples you have given in this post on how much Smushit can reduce the size. Thanks for sharing this. Cheers! I want to ask you two questions. please tell me which image format works best for web and how much size of a image is Ok for SEO? I think that JPG works good but need your suggestion. Please reply me with your own experience. Could you please compress the same images with http://compresspng.com and compare the results? Each plugin that is activated uses a certain set of resources. 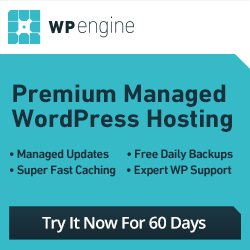 Therefore you’ll want to run the minimum amount of plugins. 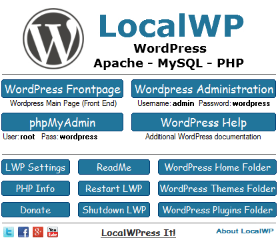 This will also reduce the chance of a theme or plugin conflict.